Easily win your matches with our Rules of Survival Hack! Start cheating in minutes! Create your account now for access! Eliminate anyone keeping you from first place with our deadly bone aimbot and full ESP for players, item drops, corpses, vehicles and more! Rank up fast and earn thousands of gold as you dominate the competition. 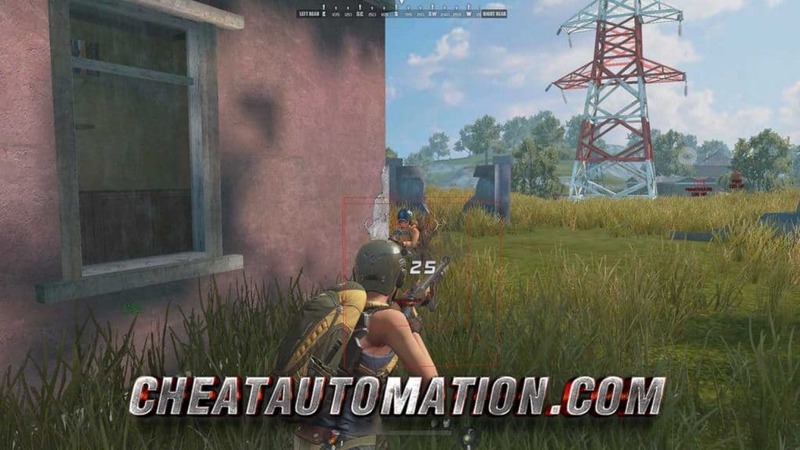 Take home chicken dinners on the regular with the help of CheatAutomation’s powerful Rules of Survival hack. Gear up fast with item drop ESP, and hunt down your opponents with 3D player ESP. 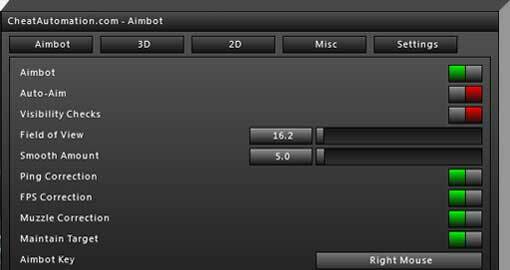 Lock on, and shoot to kill with our deadly bone aimbot that ensures maximum accuracy. Eliminate anyone who stands in the way of #1. As you easily survive to the end and earn tons of kills, you’ll shoot up the rankings and earn thousands of gold to unlock more crates than you could ever earn before! Chicken's back on the menu! 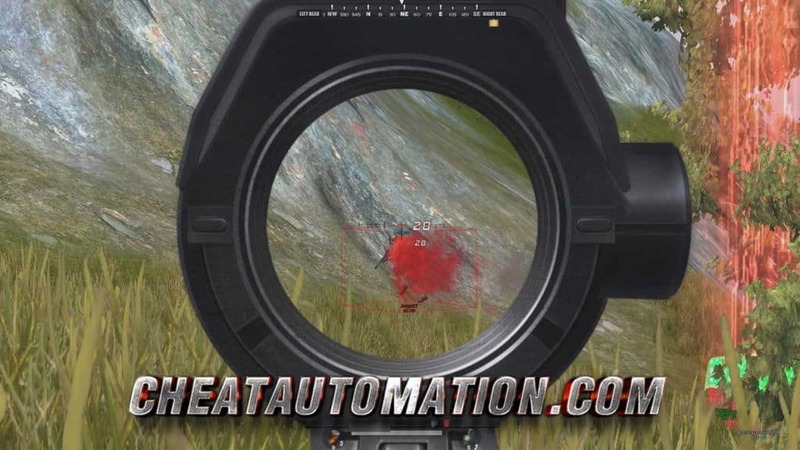 Maximize your accuracy with CheatAutomation’s deadly RoS Aimbot. With a button press, you can immediately lock on to your enemy for full accuracy with any weapon, from a shotgun or SMG to a 12x scoped bolt-action rifle. 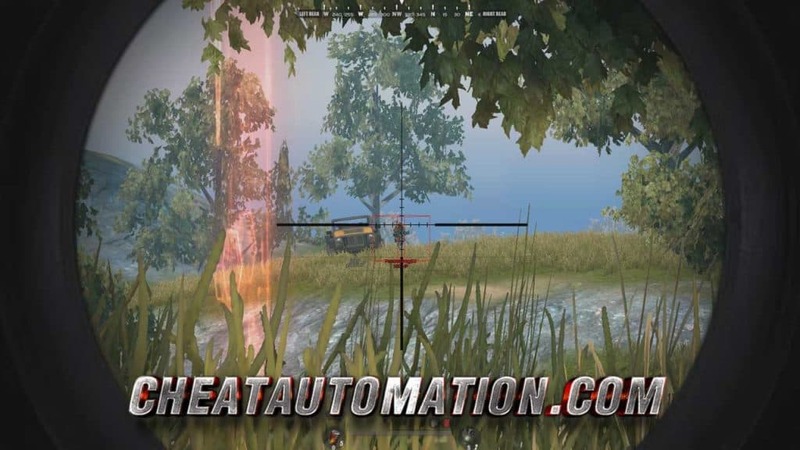 With the Rules of Survival Aimbot, you can easily eliminate anyone in your path before they know what hit them. Track down your opponents and take everything they own with our 3D player ESP, including boxes, nametags and health information. Item Drop ESP shows nearby items to increase your efficiency gearing up, and Corpse ESP shows where players died, making it easy to take anything they scavenged. Vehicle ESP will help you stay out of the blue zone, letting you know where the nearest vehicle is at any time. Rise up the ranks as you survive to the end of nearly every match, and be rewarded with thousands of gold as you eliminate tons of other players with the help of the Rules of Survival hack. As you do better and better, you’ll be able to unlock even more crates to unlock even more permanent customization options for your character. Survive to the end with our RoS Hack! Join Us Now! Download our Rules of Survival Hack Immediately! 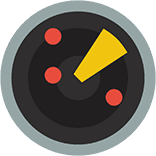 Our fully featured RoS hack..
Download our game-changing Rules of Survival Hack Now! Do you want to find a RoS hack but don’t know where to start? This guide is here to help you find the best hacks that work well. That way, you can get a lot more out of the game than if you played it regularly. There are plenty of rules of survival hack options out there. You have to make sure you pick out one that is up to date and can get you the most out of the game. Below we’ll talk about to find the perfect cheat for you. When looking for a Rules of Survival cheat, you have to be careful about what you pick out to use. You want to make sure the cheat is going to work and that it won’t do something like get your account banned. Here are some tips to help you find good cheats. You’re going to have to figure out what the names of the hacks are that are out there. One way to start is to use a search engine to look up something like “Rules of Survival hacks” to see what results come up. You want to look through a few of the results so you can find out what cheats are out there and which of them are what you want. Sometimes, a hack doesn’t really do what you need it to do and it’s a waste of time for you to work with it. When you find a cheat but before you try it, it’s a good idea to look it up online to read what other people have to say about it. You need to know that you’re getting a cheat that is going to work and not one that just messes the game up and makes it unplayable. There are some, for instance, older cheats that could get your account banned because the game company is aware of them. It’s good to find updated cheats that are known to work with the current version of the game and not anything older. 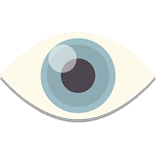 And also before using the hack, look up whether or not it has worked for other people. You can look up reviews for it, for instance, to see what other people thought about it when they tried it out. You want to avoid anything that has a bad reputation because it does things like ruins the game files or makes it possible for you to get caught cheating by the Rules of Survival staff. You want something that will be easy to use and that is not going to be likely to get you kicked out of playing the game with your profile. Once you have decided on a few different RoS hacks worth trying, you’ll want to look up reviews on them. You want to know if other people have had success with using them. You can generally find a review by searching for the name of the hack and the word reviews on a search site. Try to find positive and negative reviews so you can weigh the options you have. There are a lot of different choices in hacks so don’t go with one that has a lot of negative press surrounding it or it may give you some problems as well. A good hack is something that has to work properly and not get you banned from the game. That’s why you want to find hacks that have been updated to work with the latest version of the game. Find out when the hack has been uploaded and read the website where the hack is to see what version of the game it’s for. If you use something for an older version it may not work or it could cause your account to get banned. That’s why you need to be careful and make sure you pick out hacks that are known to work with the most current version of the game.  You should try to make a new profile if you’re going to use hacks, especially if your main profile has had a lot of hours put into it. It probably says somewhere in the rules when you sign up to play the game that cheating will not be tolerated. So, if you want to mess around with cheats you should do so on an account you’re not afraid to lose. You may get caught or you may not, but either way, it’s a good idea to be careful about using cheats. You don’t want to end up using something like an aimbot, getting banned, and then losing your main account that you put a lot of time into. Make an account that is just for using hacks and testing the limits of the game. That way, if something happens to your account, you always have your regular one to go back to. Generally, the newer hacking tools go unnoticed by the people working at the game company. Which RoS hack is right for you? The best kind of Rules of Survival hack is one that gets you more out of the game than if you were to play it the regular way. In this game, there is an in-game currency that you have to work with. If you can find a hack and/or a cheat that lets you get more of it faster, then you should use it. Think about how much time you’d have to spend, otherwise, if you were to play the game at the pace it was developed to be played at. You may end up not being happy with the outcome because it takes a long time to get to a point where the game is really fun. Before you use a hack, try to think about whether it’s worth your time to use or not. The in-game currency, for instance, can take a long time to build up and you need it to do a lot of different things in the game. It would be worth it to use a hack that let you get more coins faster than if you were to play the game regularly. A hack you may not need is an aimbot one that helps you to aim if you’re already doing good with the game. There’s no need to use hacks that do something you don’t need. 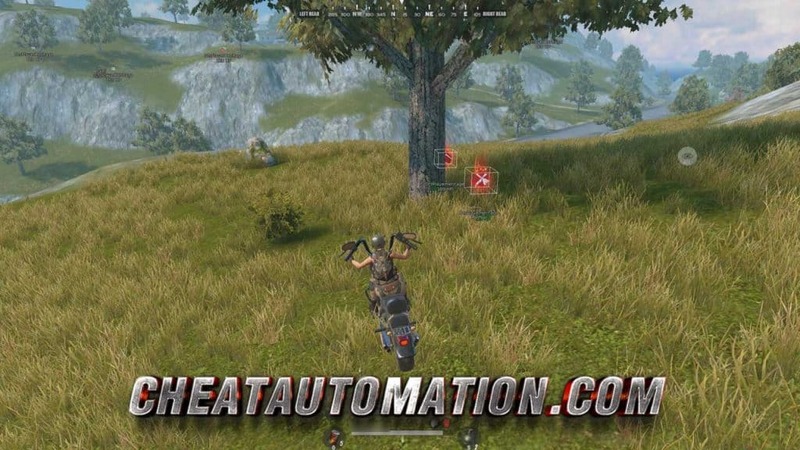 You can find a Rules of Survival aimbot hack that basically makes it easier for you to kill your enemies. The way it works is it automatically aims for you so you don’t have to. But, this can be an easy way to get booted from games if you make it super obvious that you are using one. You should try to play the game as you normally would and just don’t go too crazy with winning every battle you get into. Eventually, people will question whether or not you’re cheating which can end in you being booted from the game. You can also find a hack that lets you get more coins in the game so you can unlock more of the game quickly. They let you get coins faster than if you just played the game regularly. Just make sure that you’re using an updated hack and you should be able to collect quite a bit more coins than if you were to play the game the regular way. This is a good idea if you don’t have a lot of time to play due to work or anything else because it lets you avoid having to do more work for coins or wait for them. But Should You Hack in Rules of Survival? Is using a cheat something that you should do or is it something to avoid doing? Well, if you want to unlock more of the game and to make it easier to play, you’ll want to use cheats. If you’re someone that doesn’t mind spending the time building up resources on the game and playing it as it was meant to be played, then you shouldn’t use cheats. But, some people just don’t have time to play the game time and again and need to use cheats to make it fun. If you’ve watched RoS streams on twitch you’ve probably seen cheating in the game. 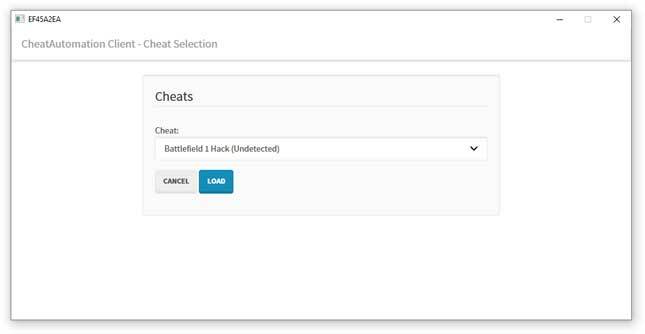 You’ll be able to take on any cheaters you come across when you have your own RoS cheat software. When you use the right RoS hack, you can get a lot more out of the game. The key is to just be careful about what you use. You want to make sure you’re getting the most out of the game so you need to research what’s out there and pick hacks that you know will work properly. 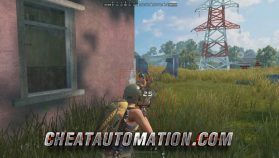 Hacks for the Rules of Survival PC Version do exist. You are now more familiar with finding a Rules of Survival cheat that you can use to make the game easier to play. There are a lot of them out there, so do your best to search through them until you find one that works best for you. 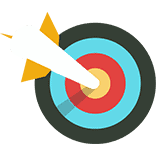 When you look at the rules of survival hack options that are out there, you know now how to tell if they are right for you. There are plenty of hacks that can unlock more in the game or make it easier for you to win and take home a delicious Chicken Dinner!